Wow.....its been a year since I posted anything. A crappy job will do that to you. I have read numerous other blogs with opinions about the cards and I will give mine. Went to Target and found some Blasters from 2013 Topps and here are the best of that group. 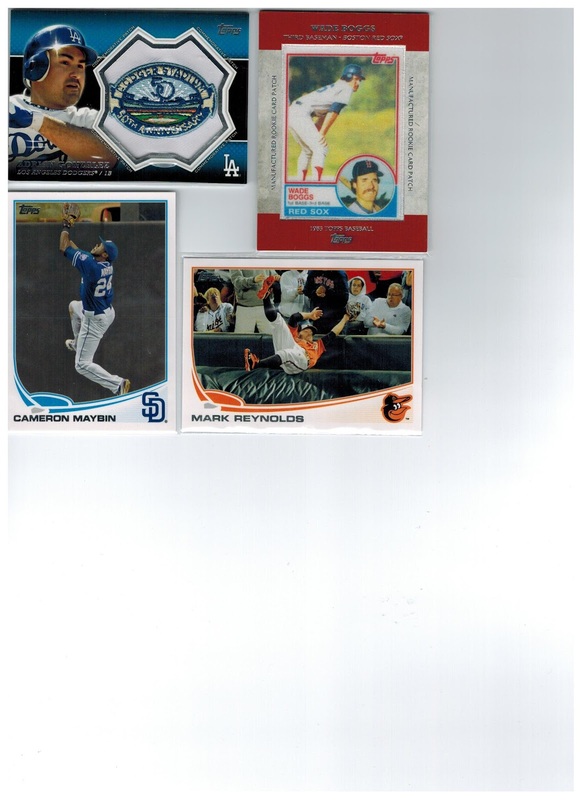 Love the Boggs and got 2 SSP cards to put on Ebay or trade. A new house.......a new state......a new job........new baseball season is almost here. First off,i now live in Texas,closer to an actual team(Rangers are 20 minutes from my work,about a hour from home). Second,got a new job,one that will let me have time to post a blog topic a little more often,and able me to read all of the great blogs that i have missed for the last 7 months. Third,comment about how far off i was in my predictions for 2012. And Forth but not least(i know thats the wrong spelling-but i now live in Fort Worth,Tx. )......i get to collect cards again. Thanks for reading and i welcome your comments and/or complaints.